Earlier this year, Senator Coburn signed on as a cosponsor to legislation that would require the National Academy of Sciences to perform studies into the connection between violent games and violent actions. In response to this bill and our concerns over its implementation and potential ramifications on our industry, we sent a letter to Senator Coburn. In that letter, we expressed concern over the bill’s primary sponsor Senator Rockefeller and over Senator Coburn’s involvement when he has clearly been against studies of similar nature in the past. 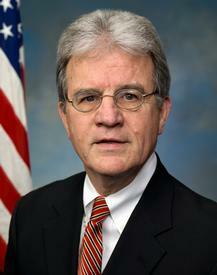 After nearly 3 months, we have finally received a response from Senator Coburn. (posted below) It certainly isn’t the response we may have wanted, but it isn’t an unexpected response. Few politicians will back out of their support for legislation once they become a full cosponsor of it. I would however like to respond to a few portions of the letter. To start off, we have this statement about the need for the study. While I understand there have been a number of academic studies regarding the effect violent video games have on children, there appears to be a common thread that shows that these games may promote more aggression or violence in children. Unfortunately, I did not have the foresight to address this issue in my initial letter to Senator Coburn, but perhaps it can be addressed in a followup communication with him. While there have been a lot of studies done in regards to the potential harmful effects of violent games on children, nearly all of those studies have been performed by the same small group of researchers, particularly Craig Anderson and Brad Bushman, and nearly all of them share common problems in methodology, for example not using a control group or a lack of double blind screening. These problems have been pretty widely documented and have not been addressed in recent studies. If this legislation is to pass and the NAS is to perform its duties, one would hope that it will take the time to review not just the results of those studies, but also their methodology and the bias of the researchers. We are also concerned with the inclusion of HHS, the FTC and the FCC in this proposal. With the inclusion of these agencies, the proposal would lead many to believe that the intent of this study is not to gather more unbiased information but to open the door to new regulations of video games. Many states have already attempted such regulations and each of those regulations have failed to pass constitutional muster in every court that has reviewed them. Why would we expect federal regulation to be any different? Or is this perhaps an example of applying the methodology in one of the studies you have listed as wasteful spending, the imagining of a “bigger hole” in order to succeed? Is this proposal meant to be that “bigger hole” that will hopefully result in the regulation of video games that Senator Rockefeller and yourself desire? We would hope not. Unfortunately, Senator Coburn did not respond to this at all. It is unclear if he simply overlooked it among the other concerns or if his silence is an admission of the validity of the concern. This is the major problem many in the games industry has with this bill. We are not worried that bad research, or even good research that reaches conclusions we don’t like, get’s an official stamp of approval. We are worried that this will result in Congress attempting to pass video game regulation in spite of the Supreme Court’s ruling in Brown vs EMA. As time moves forward and we gain a greater understanding of this legislation and its potential for passage, we will keep you informed. Here is the text of his letter. Thank you for your email the Violent Content Research Act (S. 134). I appreciate hearing from you and I hope you will share this email with all who were included in your original message. I certainly understand the video game industry’s concerns about this bill, as well as your concerns with regard to our national budget. While I understand there have been a number of academic studies regarding the effect violent video games have on children, there appears to be a common thread that shows that these games may promote more aggression or violence in children. • Unique impacts due to their interactive nature. I understand you are concerned the study would be influenced by the personal opinions of Senator Rockefeller, as the bill’s sponsor. However, I assure you that Senator Rockefeller would have no influence over the results of the research simply because he is proposing the bill. The research would be done independently by NAS, which is structured to be objective and nonpartisan. NAS adheres to strict standards of scientific and technical quality, and the agency demonstrates that checks and balances are applied to protect the integrity of all its studies. You can review the guidelines followed for every study online here: http://www.nationalacademies.org/studyprocess/index.html. You can also read more about the governance of NAS online here: http://www.nasonline.org/about-nas/leadership/nas-council.html. This information illustrates the rigorous standards in place to ensure the studies are objective, credible, and free from any undue influence. Lastly, I understand your concern for the effect on our nation’s debt. However, costs for the bill will be paid out of funds already available to the Department of Health and Human Services, the Federal Communications Commission, and the Federal Trade Commission. No additional funding is being requested for this legislation. Again, thank you for contacting me. Best wishes.